If you've got a Spiderman fan in the house, then this is the bouncer for you! 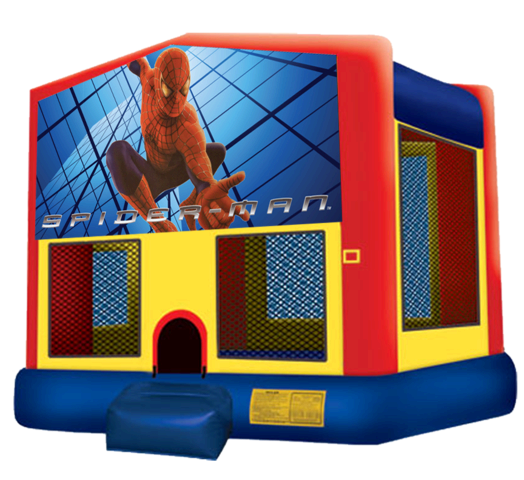 Invite Spiderman to your party for that added superhero thrill. The Spiderman moonwalk features oversized knotless netted windows, heavy duty vinyl and an inflatable safety step. All of our inflatables are delivered cleaned and sanitized, smelling fresh for your party guests.